Marta Sandal was born in Norway 1878. She began giving concerts at the age of twelve and after receiving great reviews in the national press, began performing with the Norwegian composer Edvard Grieg. In 1914 Sandal married Gudmund Rörtvedt, a farmer from Erfjord, Norway. The couple lived in Montana, where they raised four children. 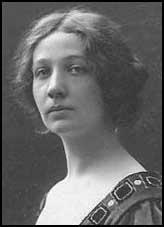 Marta Sandal-Rörtvedt died after a long illness on 2nd March, 1930.